At week two the chicks were much more mobile, able to hold their heads up for more than a couple seconds at a time. 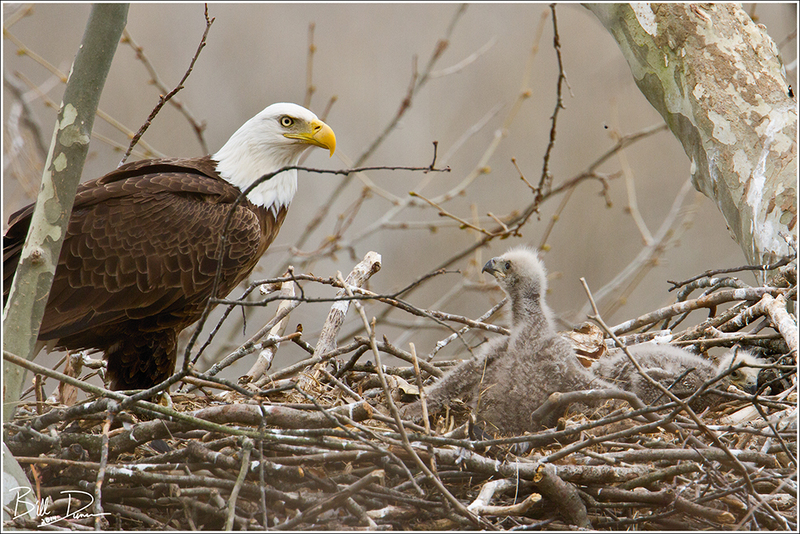 Mom always gives them a thorough look over when arriving at the nest. 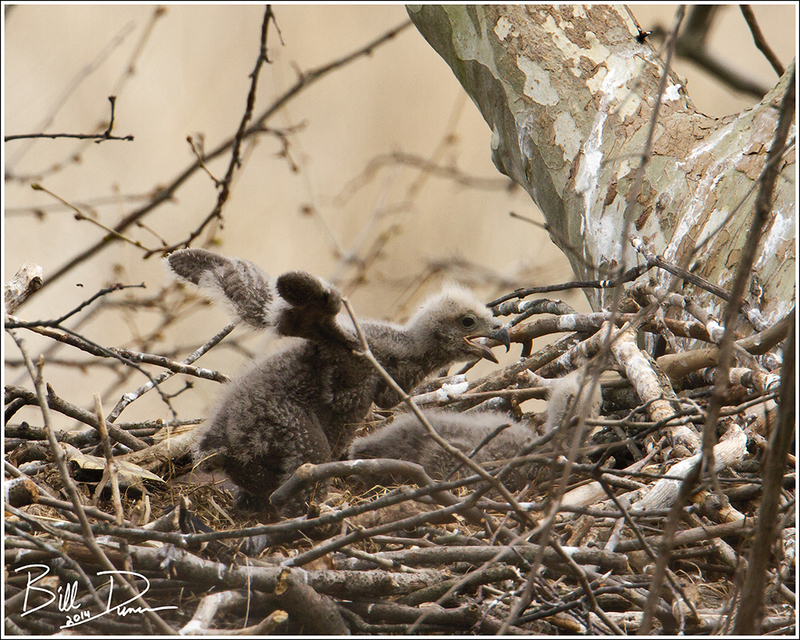 Here one adult vocalizes on the nest while its mate circles the river valley treetops. 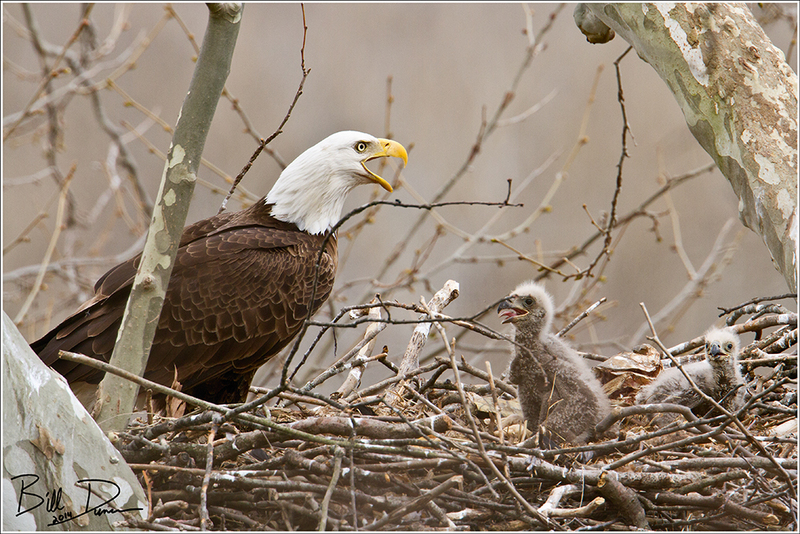 Below is one of the melting looks that the chicks give when the adults are at the nest. 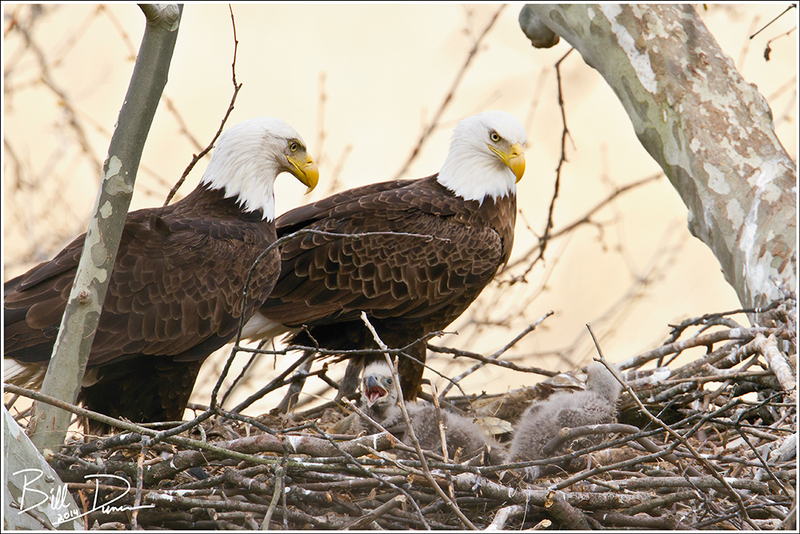 This is my favorite type of photo to capture in the nest. 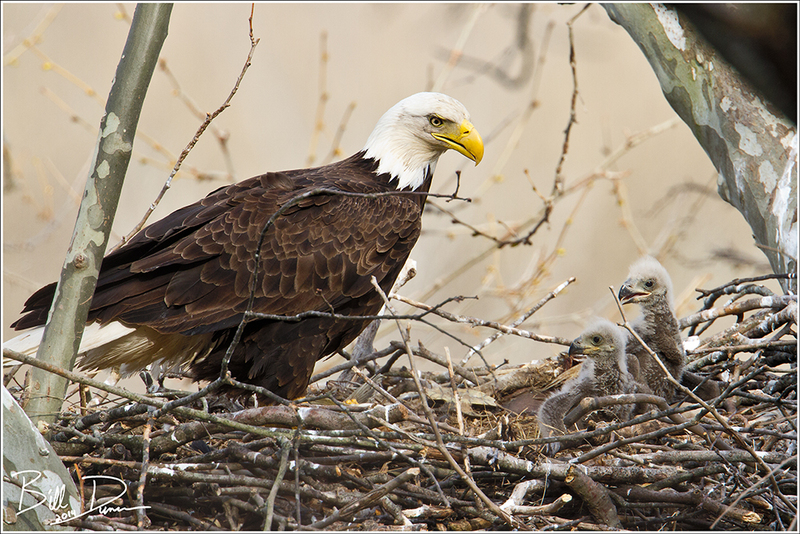 The only visit where I observed both parents at the nest simultaneously was during my week two visit. Finally, even at this early age, the chicks exercise their future flight muscles.